Samantha Lewis has traveled to Gothinburg, Sweden and Frankfurt, Germany. She has yet to explore the southern countries and is most looking forward to that in this internship opportunity. 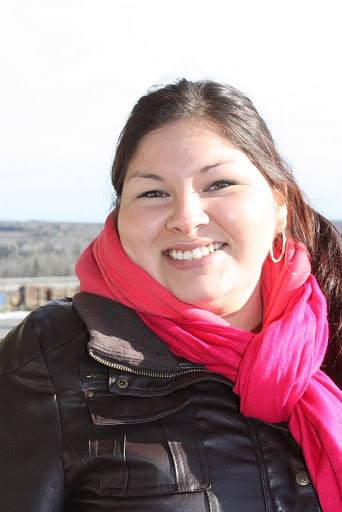 She will be working with the UPEI Institute of Island studies as part of this internship as well as the Williche Council of Chiefs on the Chiloe Island. Samantha admits that the language barrier will be one of the most challenging aspects of this trip, but offers that daily practice of the basics will help her overcome this barrier. She is hoping that upon returning, she can help Chiloe Island and PEI work to "engage each other to grow a relationship with the indigenous...to expand one another to sustain culture and store/pool resources." What attracted you to this internship program? The opportunity to travel to a southern country and to work with the indigenous tribe. My passion is to share culture and to learn their traditions.